In 2004 we took the Chunnel train to Normandy, France. It's always crazy to get on the train from the left side of the road and then get off on the right side of the road. It's even crazier when you're riding backwards in the jump seat of the trunk of the station wagon. Which I did... all the way to France... playing game boy. I feel a little car sick just typing that. We stayed in the cutest bed and breakfast in Villers Bocage. It was actually run by an English couple and tucked down in this valley and totally hidden from the road. Due to its location it was at one point occupied by German soldiers during World War II. They even left some signatures behind on the walls. Quaint and picturesque. Those are the two best words that still fall short of capturing this home. There was very little else in Villers Bocage or really any of the other surrounding villages, and yet at one point this whole region was crawling with soldiers and war. The somber peace that this area now sees is reward for those brutal days of the past. Our first stop was the Mémorial de Caen, a WWII museum really close to the D-Day beaches. It has some amazing and shocking footage of the beach landings, and letters to loved ones telling them that if they're reading this letter he's probably not coming home. 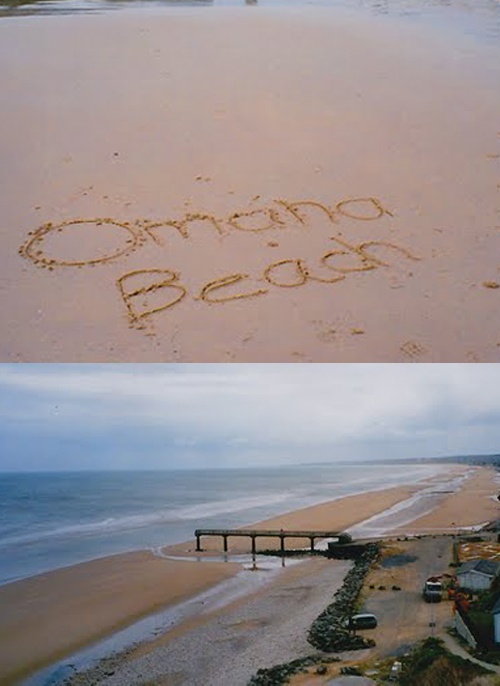 We then traveled to the D-Day beaches, both Omaha and Utah. I don't know what I expected, but there was only a small sign with the name at each beach- without that this could have been just another beach. A place people might have come with their family for vacation. No huge display or memorial. Empty and quiet except for the wind and the waves. We all rolled up our jeans and wandered around separately, each of us contemplating the weight of what these shores had born witness to. 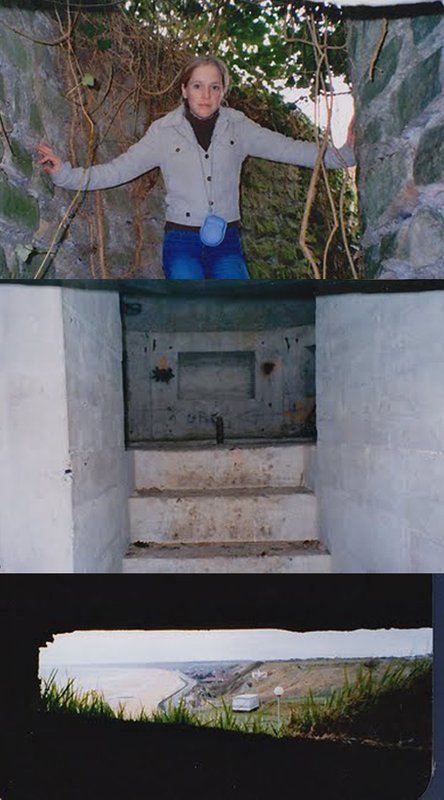 We hiked up around the shores and we even more surprised to discover actual bunkers. Hidden and overgrown with vines, again no marker. Also no barriers to keep visitors or hoodlums out, as evidenced by some graffiti inside. Climbing around in these bunkers now is a bit eerie. While it fills you with pride to know the sacrifice people made to save the weak, its hard to imagine what the view looked like on that long day in June. It truly is such a remarkable, soul-stirring place. 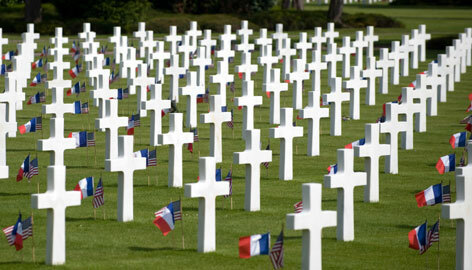 Every American should stand on those shores, and amidst the row upon row of white crosses. We live 15 minutes down the motorway to the Chunnel Tunnel and I've used it often to travel to France. There are small pockets of war graves all over Northern France that have such a peaceful atmosphere and if you go to the big ones such as Thiepvale there is an overwhelming sense of peace and sadness. There are some German cemeteries around Normandy too, and there is such a contrast and yet such similarities between those and the allied cemeteries. Also, do you remember when I. 2004 you went? 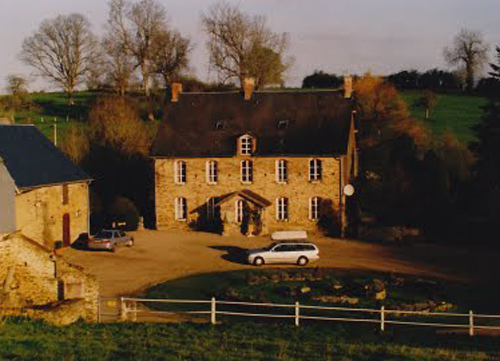 I was in Caen for the 2004-2005 school year! Wow- powerful with the crosses. So pretty there.